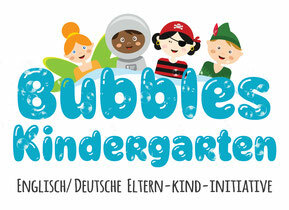 Our Kindergarten/pre-school is located in Zenettistrasse 38 of Munich Isarvorstadt - only a 5 minutes walk from the underground station Poccistraße (U3/U6). A bus stop for bus 58 and bus 62 is approximately 8 minutes walk. The location can be easily reached by car and there is a possibility to park for drop-off and pick-up times. The facilities are on the ground floor, flooded by daylight and around 130m² in size. There is a large group-room, about 90m², in which all group activities take place. It offers plenty of room for physical activity, our „morning-circle“ and our educational work in small groups. We also offer a seperate room to rest and have a mid-day nap, a kitchen area, a seperate restroom with childrens toilets and a changing station. Located nearby is a large, secure playground, easy to reach by foot for our little ones. It offers lots of possibilities to play for kids aged 2-6 years. Furthermore the garden and courtyard behind the kindergarten can be used for outdoor play and sports.